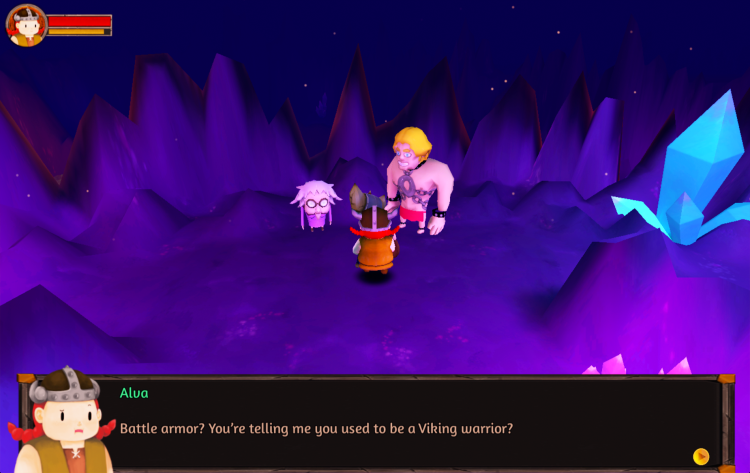 Alva The Mighty is an Action RPG telling the story of a viking warrior in a quest to save her stupid husband that's constantly getting into trouble. This game was made as a student project in 5 weeks by a group of 6 students in the Centre for Digital Media in Vancouver. By Daniel Silveira, Marina Lúcio, Ashley Yoon, Oscar Medina, Ahmed Alghamdi and Carlos Duralde. When the game starts, you can switch to fullscreen mode by right clicking on the window.